Ms. Cupcake » Highlights From Fat Gay Vegan’s Book Signing! 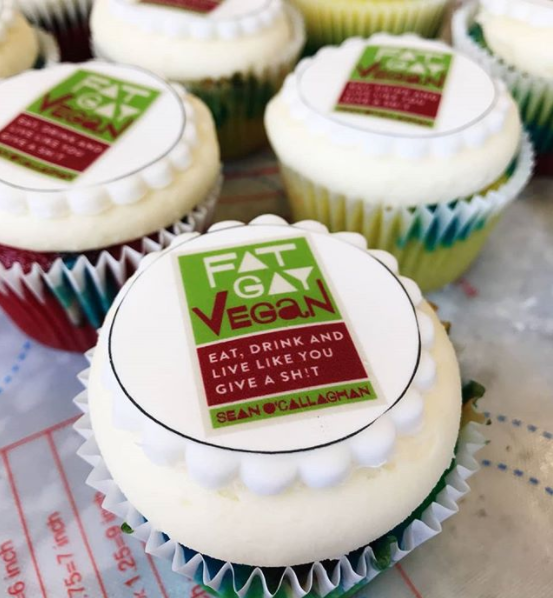 Ms. Cupcake > News > Cupcake News > Highlights From Fat Gay Vegan’s Book Signing! 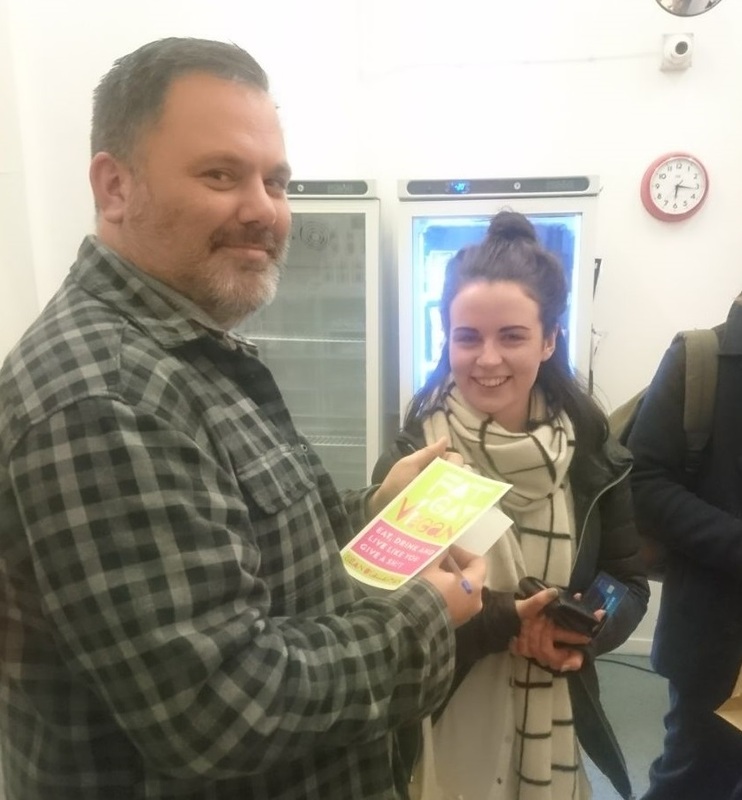 Highlights From Fat Gay Vegan’s Book Signing! 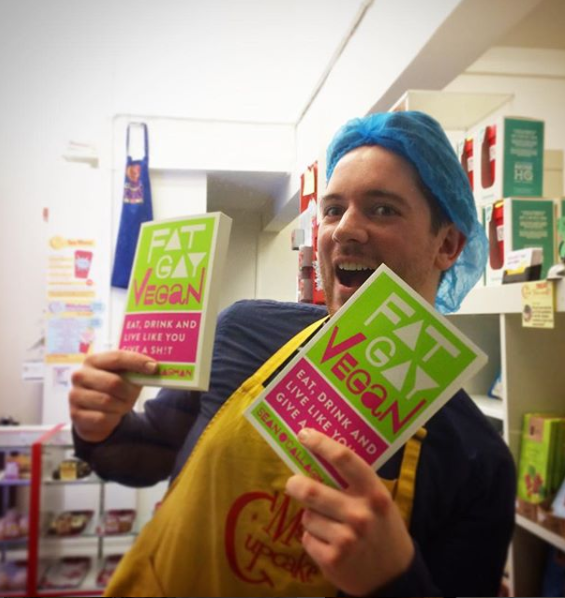 In case ya missed it, FatGayVegan’s first book, Fat Gay Vegan: Eat Drink and Live Like You Give a Sh!t, has recently come out and he came down to our shop last week to meet you guys and sign some of his books for y’all! To make the evening extra special, we created some themed cupcakes with a rainbow coloured sponge and topped with a picture of the front cover! 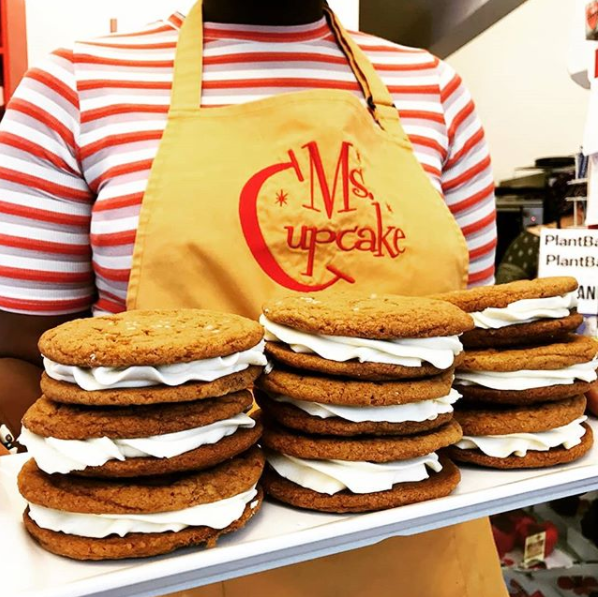 We even made a brand new Cookie Sandwich flavour, chosen by the man himself, Salted Caramel Marshmallow! Check out some of the photos below from the night! This entry was posted on Monday, January 15th, 2018 at 4:54 pm and is filed under Cupcake News. You can follow any responses to this entry through the RSS 2.0 feed. Both comments and pings are currently closed.